Canadian authorities, in a communication to India's Ministry of External Affairs through the Indian High Commission in Ottawa, have said that both the AAP legislators could travel to Canada whenever they chose to. Months after turning back two Punjab legislators belonging to the Aam Aadmi Party from the Ottawa airport, Canada has written to India saying that the lawmakers can visit the country, an official said today. Canadian authorities, in a communication to India's Ministry of External Affairs through the Indian High Commission in Ottawa, have said that both the legislators could travel to Canada whenever they chose to. "I have been informed that the Canadian Border Services Agency has conveyed to our Mission in Ottawa that due to privacy legislation, they are unable to provide further details in the matter. 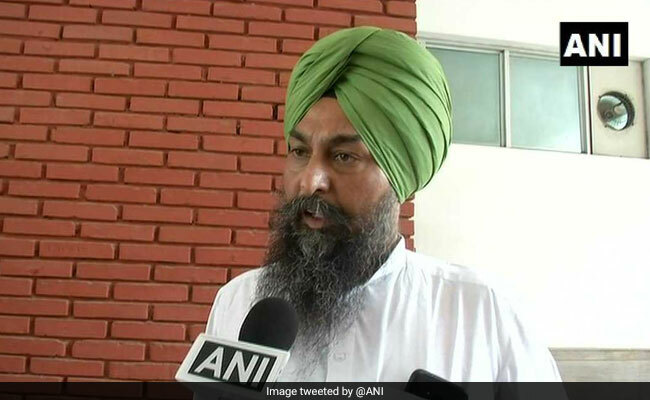 However, they have also conveyed that Mr. Kultar Singh and Mr. Amarjit Singh are eligible to return to Canada, if they choose to do so, at any future time," Union Minister for External Affairs Sushma Swaraj said in a communication to Punjab Assembly Speaker Rana K.P. Singh, according to a spokesman for the Speaker. Amarjit Singh and Kultar Singh, members of Punjab Legislative Assembly, were sent back from the Ottawa international Airport by the Canadian Immigration Authorities on July 21 despite their having the required travel documents. The Assembly Speaker had written to Sushma Swaraj about the matter on July 25, the spokesman said. Sushma Swaraj informed the Speaker that the Indian High Commission in Ottawa strongly raised this matter with the Canadian government. "We will continue to pursue the matter with the Canadian side to ensure that such incidents do not recur in future. I also urge you to kindly ensure that the Government of India's guidelines on foreign travels are followed by legislators in future and our Mission and Post in Canada are kept informed about such travels," Ms Swaraj said in her letter. The Speaker has advised all MLAs to follow the prescribed procedures for their foreign visits, including obtaining political clearance from the Union Ministry of External Affairs, and providing prior information to the Indian Missions abroad. Canada is home to a strong Punjabi Diaspora, which has settled over three decades and prospered.